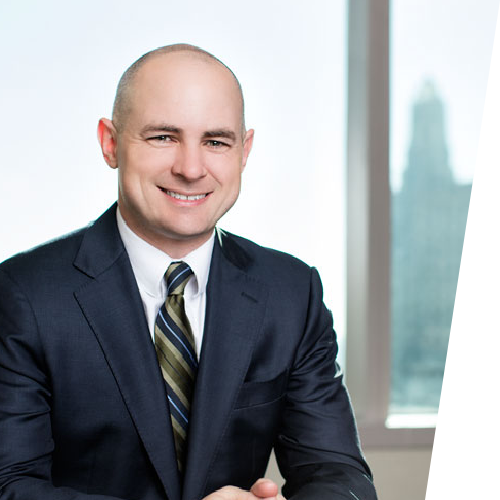 Bret has extensive experience serving as counsel in a wide variety of professional liability claims in both Kansas and Missouri. He routinely represents hospitals, long-term care facilities, assisted living facilities, rehabilitation facilities, physicians, physician assistants, advanced practice registered nurses, registered nurses, and other health care providers. Bret has successfully litigated a wide range of claims involving birth injury, catastrophic injury, and death. He also works with health care providers at all stages of litigation, including investigation of complaints well before suit is filed. Bret joined the firm as an associate in 2012. Prior to going to law school, Bret was a collegiate athlete. He lives with his wife and two sons in Overland Park, Kansas. Achieved successful verdict in case where the plaintiff suffered a brain injury involving multiple subdural hematomas and nerve palsy. Successfully litigated catastrophic brain injury case involving labor and delivery. Plaintiff alleged defendant health care provider failed to timely recognize and respond to fetal distress, causing extensive injury to both the infant and delivering mother. Achieved positive resolution in numerous bowel injury cases in which plaintiffs alleged damages in excess of $1 million. These include allegations of intraoperative errors and the alleged failure to diagnose bowel injury postoperatively. Successfully litigated case involving a minor patient who suffered paralysis during posterior spinal surgery. Plaintiff alleged extensive injury to the patient’s spinal cord during operative process. Successfully resolved claims involving peripheral nerve injuries, anoxic encephalopathy, compartment syndrome, acute ischemic stroke, pulmonary embolism, loss of airways, ocular injuries, claims of delayed diagnoses of various conditions, failure to diagnose various conditions, and numerous types of alleged intra-operative errors on behalf of hospitals and physicians in both Kansas and Missouri. Extensive experience litigating long-term care matters throughout Kansas and Missouri, including claims involving falls, the development of pressure sores, and injuries resulting from medication errors, among many others.